$15 - $30 ea. USD. This product comes standard with the Nivisys PVS-7, PVS-14, MUM-14, UTAM, TAG, TAWS and SCORPION, systems. It is designed to block out some the of residual light emanating from the eyepiece for the night vision system. This helps with the covert nature of usual nighttime operations. 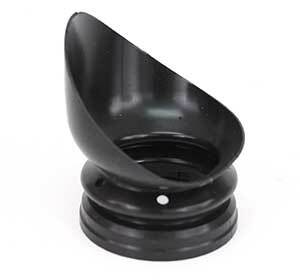 It also provides comfort to the user by allowing the eye to rest against the flexible rubber of the eye cup. The eyecup is molded over a metal ring that helps secure it to eyepiece of the night vision device.